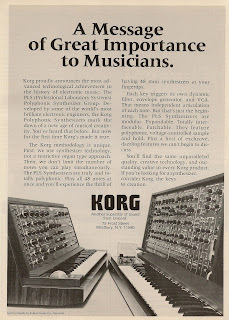 Korg PLS synthesizers from page 47 of Contemporary Keyboard June 1978. 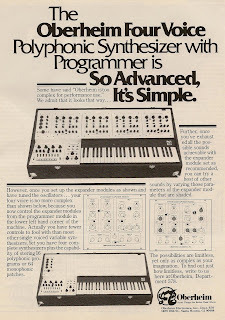 Oberheim FourVoice from page 47 of Contemporary Keyboard magazine September 1978. 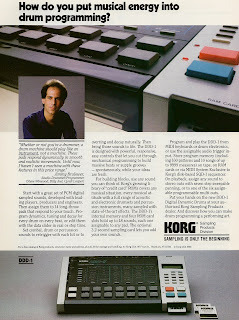 Korg DDD-1 drum machine from page 98 of Electronic Musician December 1986. When I was a kid, I had the DDD-5 but always wanted the DDD-1 for the sampling. 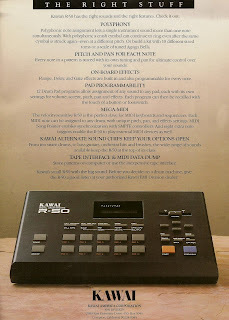 Kawai R-50 drum machine from back inside cover of Music Technology magazine November 1987. 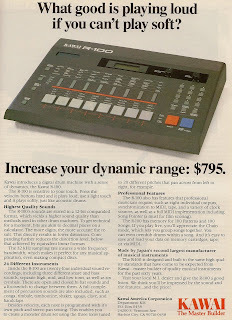 Kawai R-100 drum machine from page 115 of Keyboard magazine December 1986. 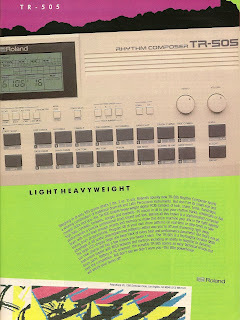 Roland TR-505 drum machine from page 17 of Keyboard Magazine December 1986. 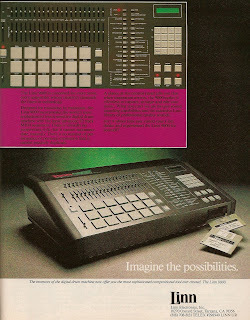 Linn Electronics Linn 9000 drum machine from page 111 of Keyboard magazine November 1985. 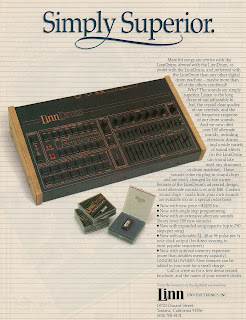 Linn Electronics LinnDrum from page 51 of Keyboard magazine December 1984. 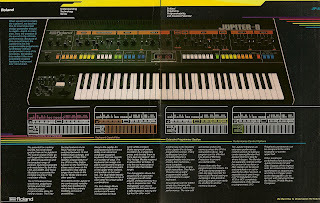 Roland Jupiter-8 synthesizer from inside front cover of Keyboard magazine July 1981.